With the increasing demand for orthodontic treatment among adult patients, new esthetic approaches are gaining popularity. Appearance during treatment is often overlooked by orthodontists, but not by their patients. Treatment accuracy is enhanced by the use of customized appliances and treatment times are getting shorter without compromising the occlusal outcome. In spite of that, appearance during orthodontic treatment is crucial for improving treatment acceptance and restorative results. In this presentation a review of accuracy and appearance of orthodontic appliances will be presented. 1. Learn the latest technological applications to enhance orthodontic treatment accuracy. 2. Learn the reasons behind esthetic appliance selection. 3. Evaluate the accuracy / precision of customized lingual orthodontic appliances. 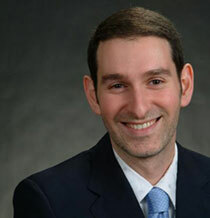 Dr. Dan Grauer is an Assistant Professor at the University of Southern California, an Adjunct Professor at the University of North Carolina, and an associate editor for the American Journal of Orthodontics and Dentofacial Orthopedics. He maintains a private practice in Century City, Los Angeles. He is trained in dentistry and orthodontics both in Europe and in the US. He holds a PhD degree in Oral Biology by the University of North Carolina. His research interests are applications of CBCT in orthodontics and orthognathic surgery, outcomes assessment in lingual orthodontics and interdisciplinary treatment planning.